Since we are out-of-state price includes $32 yearly recreation permit and $7 vehicle permit (car) for this stay. If you have any kind of large rig (35 ft or up) good luck getting level. Warning - campground is simply placed on slope (7 to 10 degrees or more) down to lake. While sites are wide and long we had to park parallel to and down near road to get level. Which means we paid for a 50 amp site but had to run a 35 ft 50 amp cord and then our 30 amp extension of about 40 feet to hook up to electric. Some one NEEDS to do work on these camp sites to get a level parking place at each site. 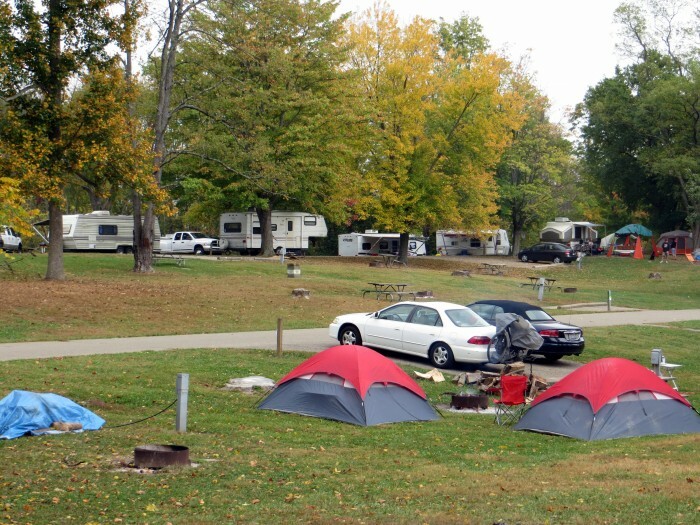 We camped at Proud Lake Recreation Area in a Motorhome. Cost is for Passport America. Place very neat. We were in a campground, number 45, which had been recently set up (gravel, curb boards, water, electric meter). People at campground friendly, efficient and pleasant. Saw dump station with a large class A using it. Narrow but very accessible. There are ups and downs on the 908 and entrance road up and winding then gravel. But all very accessible just take you time. And so nice, quiet and cool up here on the mountain. This is a wonderful quiet place to stay unless there is an event. We camped at Mountain Top Bluegrass Festival & Campground in a Motorhome. Use Exit 16, NOT 14 off route 28 to get to campground. Park was having a Halloween weekend. We came in on Wednesday, just a few electric sites available & we couldn't fit. Attendant called boss & got a site that was held back released for us. Thank you. It was a squeeze to get our 36 ft class A coach in to the site. But we are here. Site has 30 amp, large stump, some low hanging branches, angles down & no water. So come in with water or fill before you go to your site. Many sites are very unlevel so be sure to check site before paying. Asphalt small pad is for your car. $19 average is for Passport America & regular weekend cost. We camped at Hueston Woods State Park in a Motorhome. WalMart 5 miles away in Oxford. Enjoyed this park and Howe, IN also. Passport America sites are back in along the corn field with E & W. Dump in CG but not at site. Some electric posts are shared. One 50 amp and 1 or 2-30 amp hookups per post. May need long extension cord. Mosquitoes present near vegetation. Drive slowly because of dust from gravel roads. Also lots of iron in water and water has metallic taste. Fill your water tank before you go or have good filters. 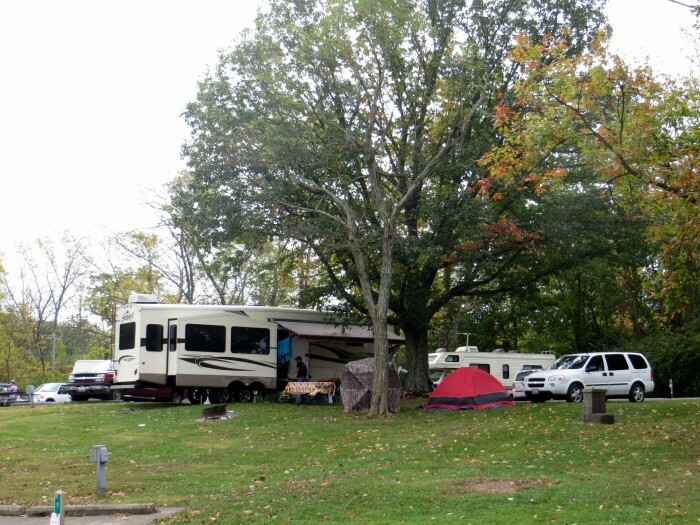 We camped at Grandview Bend Family Campground in a Motorhome. Wal Mart and laundromat in Sturgis, MI. Two restaurants, barber shop, used book store and an ice cream shop in Howe. Go to Saturday morning farmer's market in Howe town square. Shipshewanna is an easy drive. Loved the park. Wide open, lots of space between the sites and asphalt pads. Work campers very friendly. GC very neat and clean. Only complaint is the water. It is full of iron and very metallic tasting. We recommend you have a very good filter for your water or fill your water tank before you go and don't use their water. We camped at Burnidge Forest Preserve, Paul Wolff Campground in a Motorhome. We stayed one night using Passport America rate. Had site 1, pull through, 50 amp. 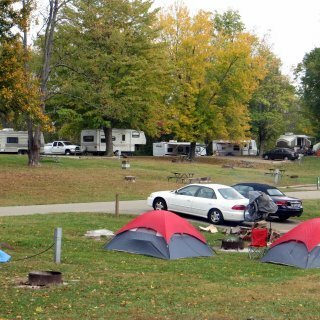 Quiet, out in the country RV park. Road in is dirt and narrow but passable. Roads from main highway are paved farm roads. Staff very pleasant, friendly and helpful. We would definitely stay here again. We camped at Okatoma Resort & RV Park in a Motorhome. Cost $12.50/night with Passport America. Can't beat the price for 50 amp, water & sewer. Sites long, level, gravel pull-through sites. Basic campground, no frills. Perfect for a one night stay or limited visit to Amarillo.`Put money in envelope & slide through gold slot in office door. Employee present was cutting grass & was pleasant & helpful. Easy on & off for I-40. One row near I-40 appear to be permanent residents. We camped at AOK Camper Park in a Motorhome. This is a fairgrounds park and not a destination park. It was perfect for us because we had lost the power steering in our car, which we noticed leaving a park about 40 miles away. Visited this town to get it fixed and it was done about 3 PM so rather than try to make up the day we lost, we drove 1/2 mile south to this park. The only other person there was the workcamper, a very nice older gentleman. 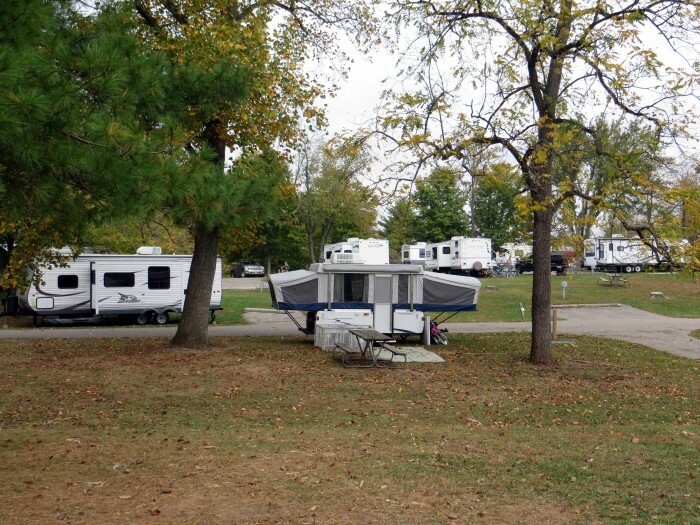 The sites are grass; some are lumpy due to previous camper tires, and there are scattered trees. We did not have any difficulty getting satellite TV, Verizon data and AT&T cell phone signals. Small town, excellent and fair auto repair and a good home cooking restaurant. It was a great place to stop overnight, only about 2 miles south off I-80. We would definitely camp here again. We camped at Pottawattamie County Fair Campground in a Motorhome. We stayed here two nights because it was the closest park to Overton where we did some genealogy research. Owner was friendly and helpful. Sites are just gravel along a fence. Has 50 amp, water and sewer. Not really a Campground. Rather it's a place to park your rig if you have a reason to be in the area. Quiet and no one bothered us. We camped at Watkins Family Campground in a Motorhome. Price includes discount. Sites are gravel. CG is quiet. Hostess very pleasant. We had a pull through. Only stayed one night. View from front of coach is a local small city park. Park is a great place for those with dogs. Only negative was small sites. We camped at BJ's Campground in a Motorhome. New price is $35 + 8% tax. Pretty pricey for a bare bones campground (CG). Sites big, graveled, long, generally level. North sites you have to get into by driving through the south sites unless you know when you come in to turn right and go on the other perimeter road. You are on a hill with views over the valley; no trees and good satellite reception. CG is quiet, but watch out for wind; may want to keep your small awnings closed. Five bars for AT&T 4G cell phone. CG about 15 minutes from Gillete. 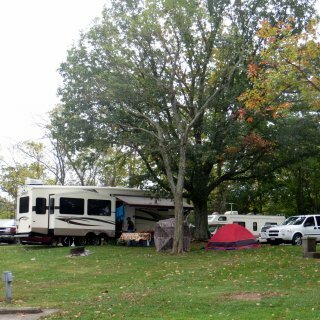 We camped at All Seasons RV Park in a Motorhome. Used Passport America for the $16.65 rate. Nice park. Good 50 amp service, concrete pad, had a back in site. Pleasant staff. Close to I-12. Wonderful for a one night stay while traveling from one place to another. Roads somewhat narrow, so hook up when leaving in the morning out beyond the office or you will block traffic flow. Had a great view of the lake even though we did not have a lake side lot. Not too many folks in the park at this time of the year. 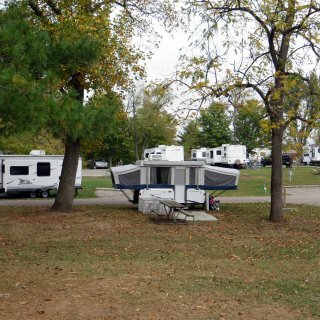 We camped at Lakeside RV Park in a Motorhome. $20 per night was with Passport America. Wonderful easy on and easy off to I-10. We have stayed here before. Sign in at gas station. We stay in sites 1-8 (all grass) because they have open view for satellite TV. 50 amp good, also have water and sewer and although near I-10 not much highway noise. Not a destination park but a great stop on the way from one place to another. We camped at Beaver Lake Campground in a Motorhome.